Where to buy the best paydirt? Look No Further, We Have Your Answer! Where To Buy The Best Paydirt? So you found this page on google.com and your looking for the best place to buy gold paydirt. Look know further as we at Lynch Mining, LLC are the fastest growing and most reputable paydirt organization in the world. We work hard each and everyday exploring, claiming and mining on active gold land throughout the USA & Canada. We have thousands of loyal clients who return each month to buy more paydirt bags. We simply sell the finest gold bearing concentrates in the world. If you where to ask any one of our loyal customers who has the best paydirt? they would all have one answer and simply say "Lynch Mining, LLC". Most of our paydirt bags contain a great ROI on each bag, we sell unsearched paydirt as well as our most popular 1 gram guaranteed paydirt bags. If your looking for a single order or bulk orders for a retail store we can provide you with the exact amount of gold or paydirt that you need. We are located in the Phoenix area of Arizona and have active gold claims in Phoenix, Wickenburg, Congress, Stanton, Weavers Mining District, Bradshaw Mountains, The Belmont Mountains, Tucson, Prescott Valley and More. If you would like to save 10% on each order join the tens of thousands of customers who have joined our monthly paydirt subscription club. Every member of our club is treated as VIP and get the best prices on gold and paydirt, even better than all of our competitors. 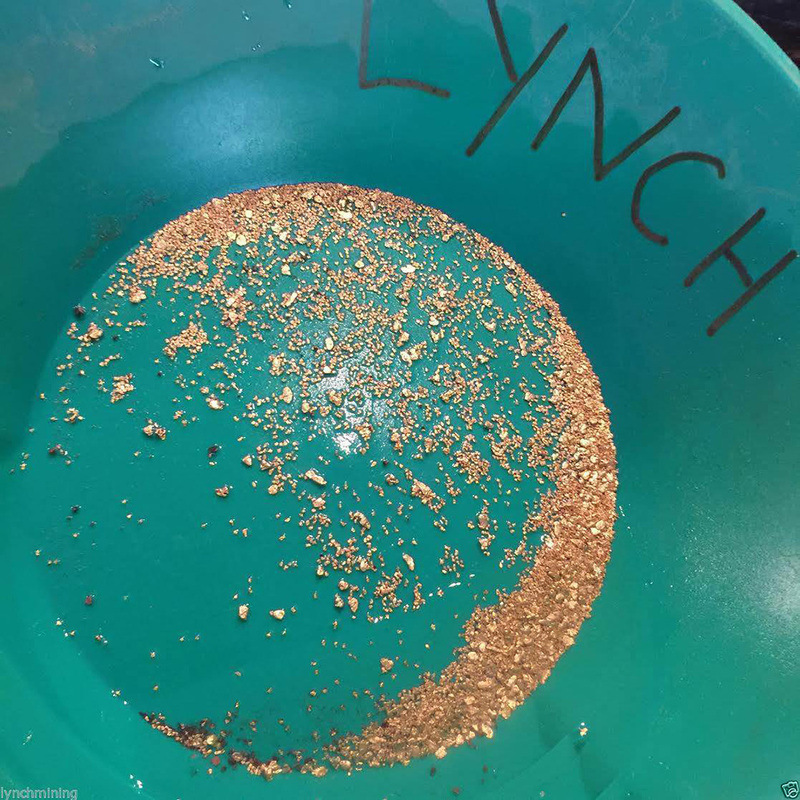 Lynch Mining, LLC is strict on delivering the finest gold bearing paydirt concentrates to the public and to loyal club members. If you decide that you would like to join our monthly paydirt club you have the choice to join either the Gold Rush Paydirt Club, the Gold Fever Paudirt Club, the Golden Smiles Paydirt Club or the True elite Paydirt Club. If you have any questions, we invite you to send us an email at info@lynchmining.com and one of us will respond within 24 hours.